The living room is where we entertain our guests and thus, it is the first area in our house that people would see. If your living room is cluttered, then that would create a bad impression for your entire home. The great news is that there are now lots of creative living room storage ideas that you can incorporate for your living room. These storage solutions will not only make your living room clutter-free but will also make it look even more appealing. These floating shelves are truly unique. They are not the usual shelves that you often see in other people’s house and thus, the shelves will certainly stand out in your living room. 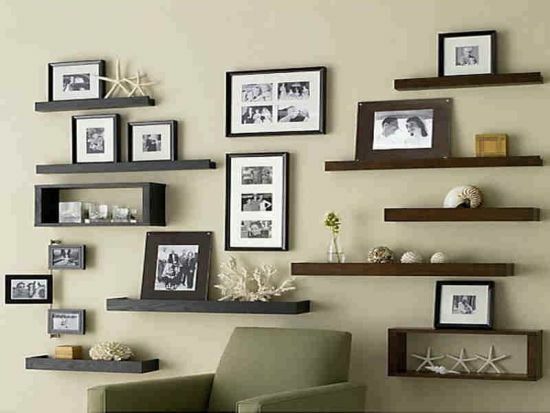 You can use the shelves for displaying framed photos and other decorations. Just make sure that you arrange the photos well so as not to make it look untidy. Contemporary homes should have a contemporary living room as well. 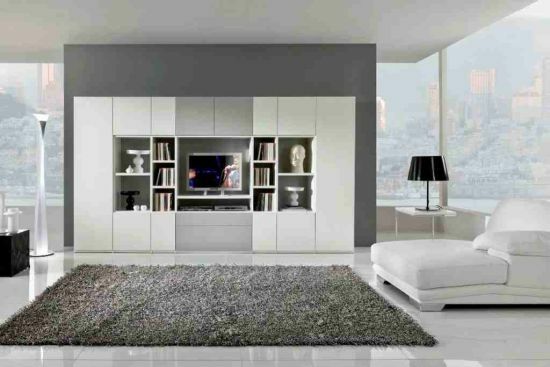 A contemporary designed cabinet is definitely an elegant way to store books and other items in your living room. You can also have your TV mounted on the wall of the cabinet just like the picture shown below. Make sure that the color of the cabinet matches up with the color of the other living room furniture. A concealed living room storage space is certainly a unique way to keep your living room clutter-free. These storage spaces come with high tech features which you can operate with the use of a remote control. Just by merely pressing a button, it opens and closes on its own. This might cost you a lot of money but it’s definitely worth it. If you have a traditional living room with a fireplace in it, then these traditional designed wooden cabinets would be a perfect way to keep the space clutter-free. It gives your home a rustic feel and will certainly help to keep the surroundings look beautiful and will create an even warmer ambiance. A television set is one of the most important appliances that we often have in our living room. Therefore, we should think of it when looking for storage ideas for our living room. 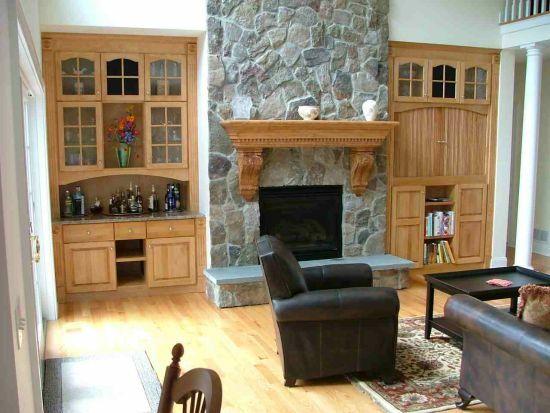 This custom designed living room cabinet would be suitable to those who have wide TV screens. It has a wall in the middle that is intended for the TV and you can use the storage spaces above and underneath for storing other things, making your living room to look beautiful and clutter-free. If there’s a floating shelf, there is a hanging cabinet as well. If you do not want your visitors to be able to see some items that you have in your living room, such as magazines, newspapers, etc, you can have a hanging cabinet installed on your living room wall. If you want, you can also install a shelf above where you can place books, similar to the picture below. 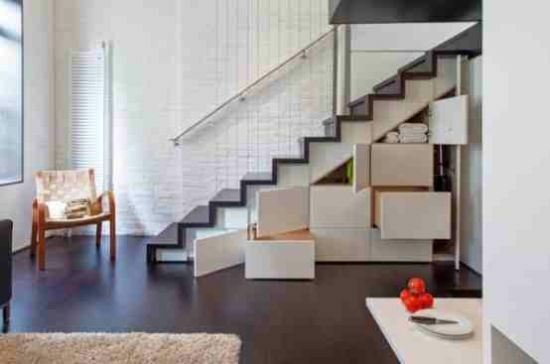 If you have stairs in your living room, then make good use of the area below it. You can have some storage cabinets installed in this area such as the one shown in the picture. It will not only make your living room clutter free, but it saves a lot of space as well. The only thing with this type of storage solution is that you might have to spend a bit more. The cabinets must be custom made to ensure that they fit well in that area below the stairs. Therefore, aside from paying for the cabinets, you might have to spend for the service fees in getting the cabinets installed. 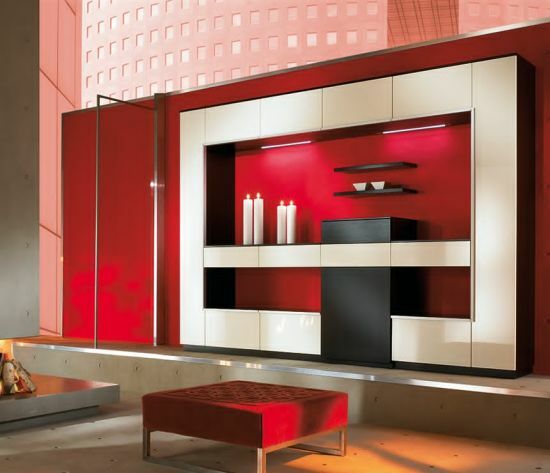 Another creatively designed storage cabinet is this Modern Red cabinet. It’s ideal for contemporary houses with red as the overall theme. Just like with the one shown below, it will look great in houses that have red furniture. Combined with black and white colors and some lighting, this storage cabinet will certainly make your living room look elegant and sophisticated. The black and white theme for interior design is becoming a trend these days. 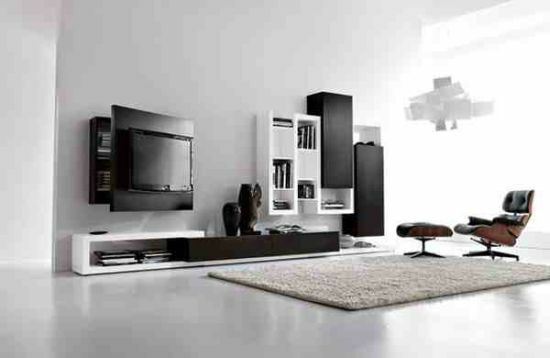 It helps to make your living space look elegant and sleek. 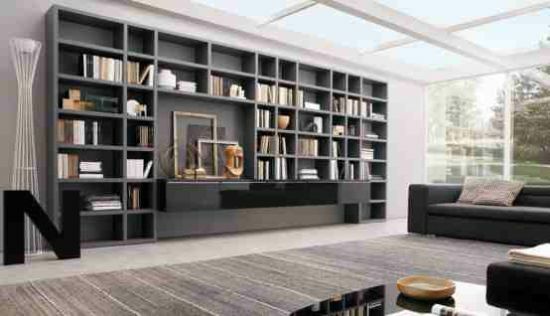 So if you want to incorporate this theme in your modern designed living room, the best living room storage ideas when it comes to this is to of course, go for a black and white storage cabinet. But do not settle with traditional basic designs. Go for the modern ones, such as the one shown below. 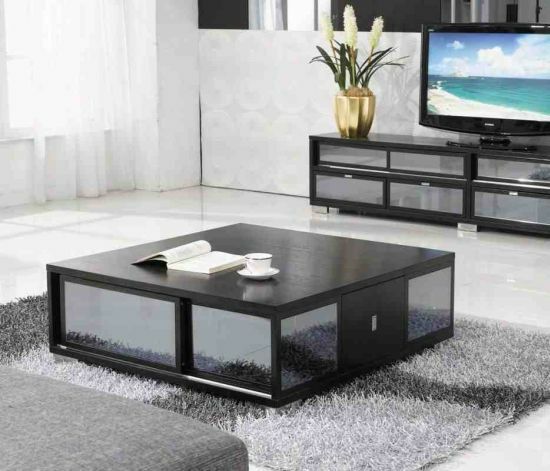 Another creative living room storage idea for modern designed home is this table with glass cabinet. What’s really good about this cabinet is that it has double purpose. First, as a table where you can use to serve drinks and food for your guests and second, as a storage for some living room stuffs, such as books, magazines and other trinkets. The cubes storage cabinets shown below are truly unique and creative. On your first look, you will not notice that these colorful cubes are actually storage shelves. So if you want a storage solution that is not only functional but decorative as well, then this would be a perfect choice. If you want to install some shelves in your living room but you want something that is not the usual, then you may want to consider having these artistic open shelves. 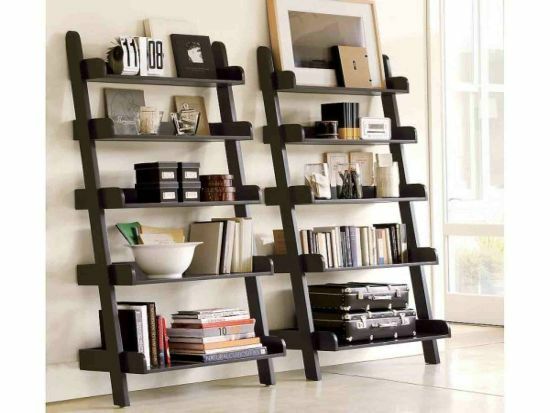 These shelves are truly creative and they are not like the usual shelves that you would see in other people’s homes. If you have plenty of books and you want to display it in your living room, then this book storage would be a great solution. This is also among the best storage ideas to incorporate in your library. It is huge and is well capable of accommodating up to a hundred books. There is also a space in the middle that you can use for mounting your TV or perhaps, for placing other decorative stuffs, similar to the picture shown below. 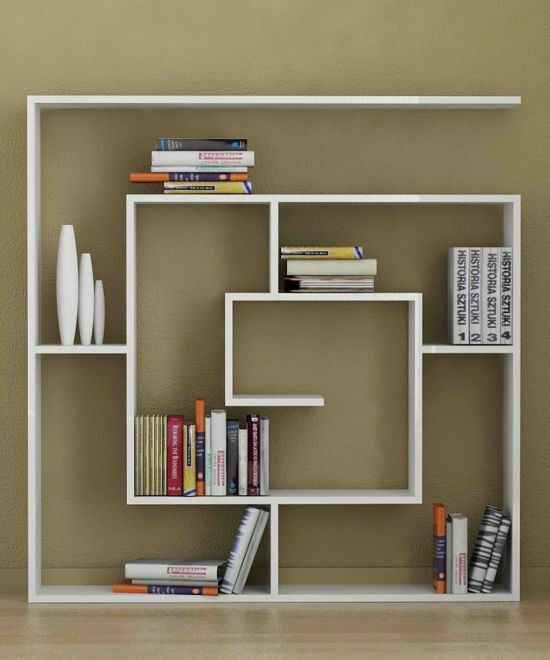 One of the most unique and stylish storage solution is to integrate your living room with this very artistic maze like shelf. The design is definitely one of a kind. This storage will certainly stand out in your living room and you will surely receive lots of praises from your guests because of this very creative shelf. If you want a living room storage solution that has multiple functions, this storage ottoman would be perfect. As you can see, they look very colorful so they can make your living room to look even more beautiful. 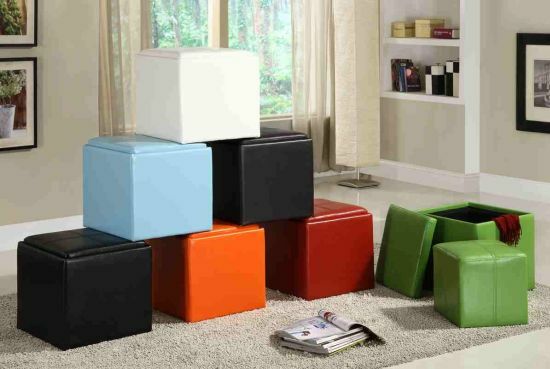 But aside from its aesthetic looks, these cubes can serve as a chair as well for your guests. And of course, you can also use it for storing all kinds of stuff! Hopefully, these creative living room storage ideas can help to give you an idea on what would be the best storage solution to install in your living room. Always remember to choose the kind of storage that matches well with the overall decor of your living room and it should complement well with the furniture and fixtures that you have in your living room.